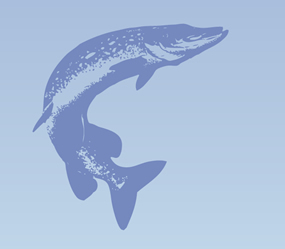 To reestablish a self-sustaining spotted musky (Esox masquinongy) population in Green Bay and increase the genetic variation and abundance of the population. The fish community of Lake Michigan and Green Bay is unbalanced due to impacts of humans including overfishing, habitat degradation, and the increased presence of exotic species. Long-term plans to reintroduce and maintain healthy populations of native predator fish species are ongoing and require support for hatcheries, rearing facilities, and staff. The spotted musky of Green Bay is an important native predator and trophy fish that was locally extirpated. NRDA settlement funding provided support to the Wisconsin Department of Natural Resources (DNR) to raise, feed, and stock spotted musky in Green Bay. Facilities for spotted musky rearing at the Wild Rose State Fish Hatchery were improved, and the hatchery will purchase food to raise 20,000 fingerling and 1,000 yearlings each year for 15 years. To increase the genetic diversity of the spotted musky population the Wisconsin DNR with assistance from the U.S. Fish and Wildlife Service National Fish and Wildlife Conservation Office used NRDA settlement funds to identify, test, and collect wild egg sources from Canada for fish rearing and stocking into Green Bay and Lake Michigan. This program included cooperative work with the Ontario Ministry of Natural Resources that helped identify a number of wild populations of spotted musky in northern Lake Huron that could be used as donor populations. Reintroduction of top predator species such as spotted musky will help restore the native fish community in Green Bay, Lake Michigan, the lower Fox River and the four lakes of the Winnebago Pool where stocking is taking place. Improved biodiversity will reduce exotic species populations and encourage recovery of other species associated with the reintroduced predators. As a popular trophy fish, spotted musky reintroduction and recovery will provide increased recreational opportunities for sport fishermen. Stocking occurs throughout Green Bay, Lake Michigan, the lower Fox River, and the four lakes of the Winnebago Pool. Project benefits were not quantified in acres. 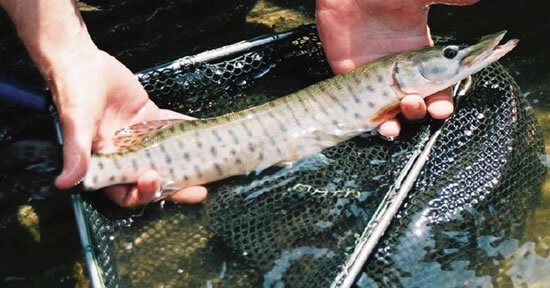 Rearing and releasing predatory fish, including spotted musky, is an ongoing process. Fish populations are continually monitored to determine when natural reproduction is supporting an area. Stocking will then be stopped. To date, almost 66,000 spotted muskies have been released into Green Bay. The project received $615,400 in NRDA settlement funding and attracted additional matching funds and/or in-kind services for a total budget of $650,400. Spotted musky stocking began in 1989 in relatively low numbers. As a result of NRDA settlement funding, the Wisconsin Department of Natural Resources was able to significantly increase stocking numbers and diversify stocking locations to begin to reestablish a self-sustaining spotted musky population in the region. Significant numbers of fish have been observed during surveys; however, it may take up to 10 years to confirm natural reproduction. Stocking efforts will continue until existence of a successful self-sustaining population is confirmed.